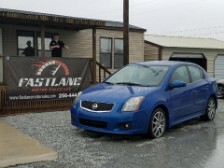 Got a 2007 Nissan Sentra SE-R. Love the car and the dealership! They were very helpful and patient with helping me find the car I wanted at a reasonable price. Wouldn't choose anywhere else to get a car from and I will definitely refer friends and family there! 5 out of 5 stars for sure! Everyone was really nice and very helpful helping me find the right first car at a very affordable price. It took a lot of patience to deal with me because I switch up a lot. 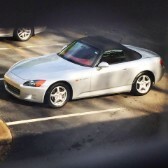 They referred cars that would be good for my liking and affordable at the same time. They were nothing but respectful and helpful! Plus they have a very wide variety of cars from sports cars to sedans. I would definitely recommend anyone looking for a vehicle to consider this place. Just call and they will do their best from day one to help you the best way they can. Very good communication and very helpful. I have not actually bought a vehicle from them yet, but my experience so far has been better than any other dealer I have talked to. I want to give a big shout out to Drea Wray and Chris Bergquist for helping me get my dream car!!! 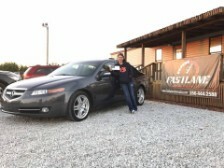 If anybody needs a car go to Fast Lane Motor Sales in Huntsville or Athens!!! At Fastlane Motor Sales, LLC we are proud of the quality used cars we sell and our dedication to serve the needs of our customers. This is reflected in the amount of repeat business we receive. Whether this is your first purchase with us or one of many that you’ve had, you can count on our dedicated sales staff to make it the best buying experience possible.